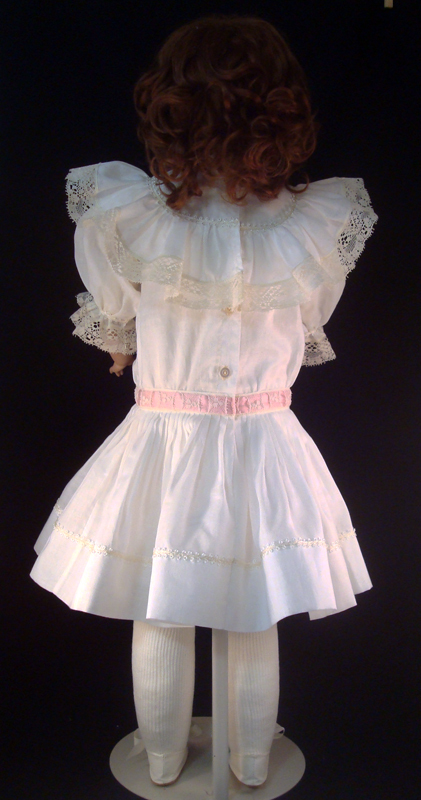 This Antique Style Doll Dress is a dropped waist style made in vintage winter white batiste (not snow white) trimmed with ecru laces and trims. 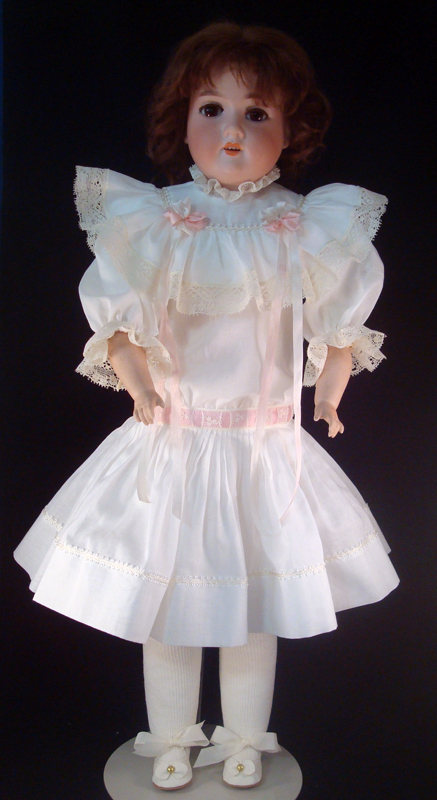 The batiste fabric and lace on this Antique Style Doll Dress are 100% cotton and the ribbon is 100% silk. These vintage trims and lace are becoming more scarce, so the lace may vary from dress to dress. The seams are French seamed and the dress closes in the back with vintage pearl buttons. The dress is made to fit antique bisque dolls with a bisque head and either a German ball joint body or a kid leather body. This dress is semi-sheer, so it will look better with a slip and drawers/bloomers underneath. 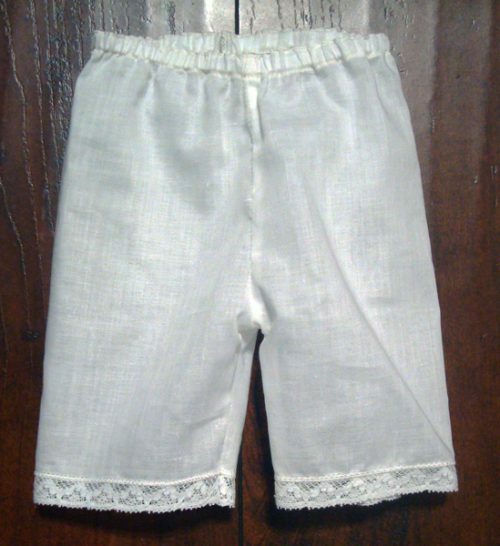 They are available in the same vintage white batiste as the dress.